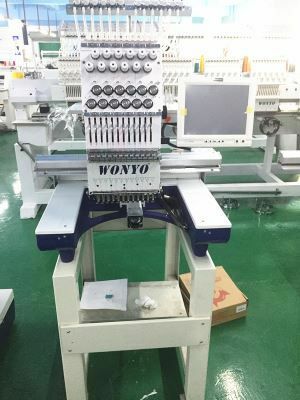 Wonyo 2 head high speed multi-neeldle embroidery machine can do cap,t-shirt,flat,3D, logo,sequin,cording,beads embroidery, with max.mum speed 1000rpm, 9/12/15 colors for your choice. higher design quality and reduced setup times makes commercial embroidery machines the most efficient and reliable embroidery equipment.24months for whole machine, 36 months free upgrade for control system. And free maintenance is available during the warranty period if any machine failure. Welcome to buy the cheap price but high quality 2 head high speed multi needle embroidery machine for sale from our factory. We are one of the leading embroidery machine manufacturers and suppliers in China who can assure you the good performance of our products. Should you still have any question, welcome to check the reviews.